We could all use a piece of nature that we can enjoy or escape to everyday. 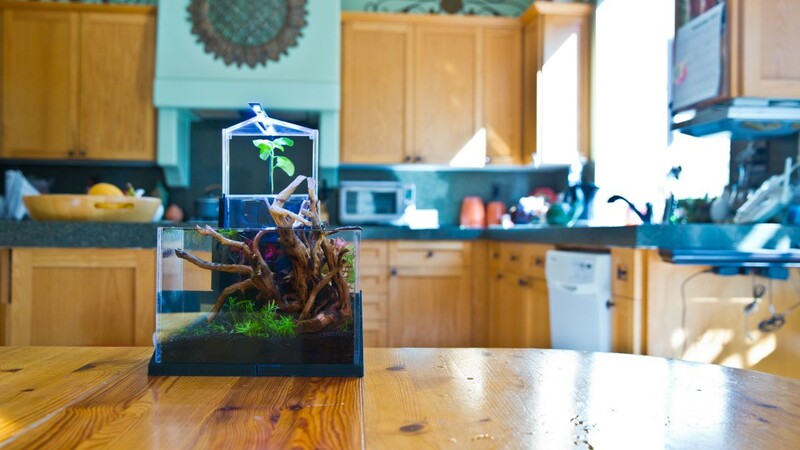 The problem is that most aquariums that we put in our homes are not sustainable ecosystems. They need maintenance like water changes, filter replacements, and the occasional algae scrub. 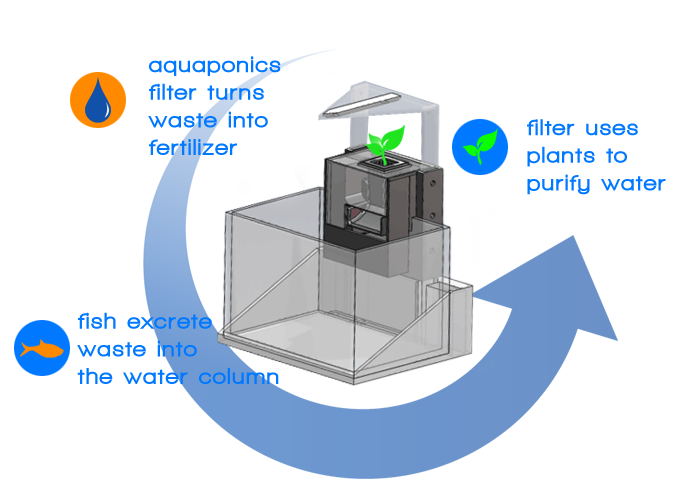 Aqua Design Innovations, an undergraduate UCSD startup has designed the EcoQube, a compact aquarium that uses plants like basil to keep the water clean. How does it work? The EcoQube is a recirculating system where the fish produce nutrients for the plants that grow above it. This concept is called aquaponics, a method of sustainable food production that the founders of Aqua Design Innovations, Kevin Liang and Eric Suen, see as the future of organic farming. It’s Educational! The EcoQube comes with a K-12 curriculum about the science behind aquaponics and self sustaining ecosystems. Isn’t this an ingenious idea? I definitely need one of these on my counter, so I can not only have easy access to whatever herb I want to have at my fingertips fresh, but as an educational entertainment factor for me the kids. They are UC San Diego students and aquarium geeks who met in high school and instantly became intrigued by planted aquatic ecosystems. As they got older, they realized the bigger challenges humanity as a whole faces in terms of food and water shortages, so they decided to use their knowledge of aquariums to deliver the concept of aquaponics and the impact it can have to as many people as possible. You can learn more about them by way of their website, or feel free to stalk – I mean follow – them on Facebook. Help Kevin and Eric deliver the EcoQube to homes and classrooms across the country – they have literally just started a Kickstarter Campaign in order to raise the funds needed to send these into production. 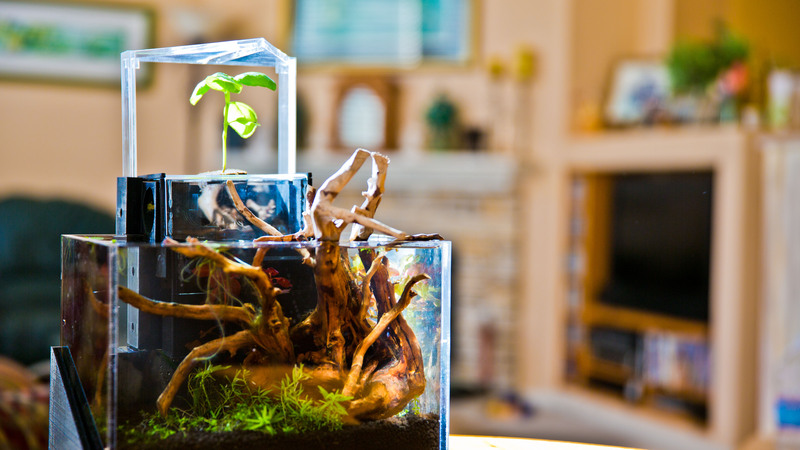 If you’re like me and think the EcoQube is more than just super cool, you can support their Kickstarter campaign here. Let’s help Eric and Kevin bring nature to life. Note: I will be receiving an EcoQube of my own, compliments of Eric and Kevin once they’re manufactured, in exchange for writing this post. No monetary compensation is or will be received, implied or otherwise. As usual, all opinions are my own and not influenced by outside sources – and in this particular case, I can’t sing praises enough for this awesome concept and idea. See my Disclosure Policy here. This entry was posted in Alert, Announcement and tagged Alert, Announcement, Aqua Design Innovations, Disclosure Policy, EcoQube, food, genius, Kickstarter by StacyUncorked. Bookmark the permalink. What a great idea and design! I will have to check them out! Just coming by to hear the music when I saw this post. My husband wants to do an even bigger one of these – aquaponics on a large scale where it is about 4’X6′ and you can have your own eating fish (he wants trout).